Experience the rugged, high-tech performance of the 2019 Toyota Tundra on the Jupiter roads when you get behind the wheel at Treasure Coast Toyota of Stuart. This model was built to give you the power and confidence you need while keeping you safer wherever the road may take you. Take the Tundra for a test drive today! You can also find comfort in the standard Toyota Safety Sense™️ P (TSS-P) technology included in the Tundra. Some features of this safety system include Pre-Collision System with Pedestrian Detection, Lane Departure Alert with Sway Warning, Automatic High Beams, and Dynamic Radar Cruise Control. 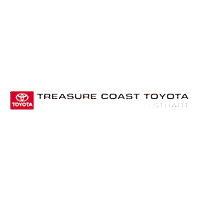 Why Treasure Coast Toyota of Stuart? New vehicle specials to help you save. A state-of-the-art service center for regular maintenance. Service and part specials to encourage you to keep up with your vehicle’s maintenance schedule. Our finance experts are standing by to help you get the process started. You can also apply for financing online to get pre-approved before coming in. Contact us today to learn more about the Tundra, to compare our models, or to schedule a test drive.